Leverkusen, 25th April 2018. Everyone is looking forward to this summer’s major sporting event and both the teams and fans are in full swing with preparations. Brake specialist TMD Friction is also involved and is putting together an international “Team Textar” for the first time. From the 30th April – 15th July, dealers, garage professionals and their customers are being called upon worldwide to become part of the team by designing individual player cards, reminiscent of the trading cards we all know. In addition to all the fun that’s involved, the participants can win attractive prizes. 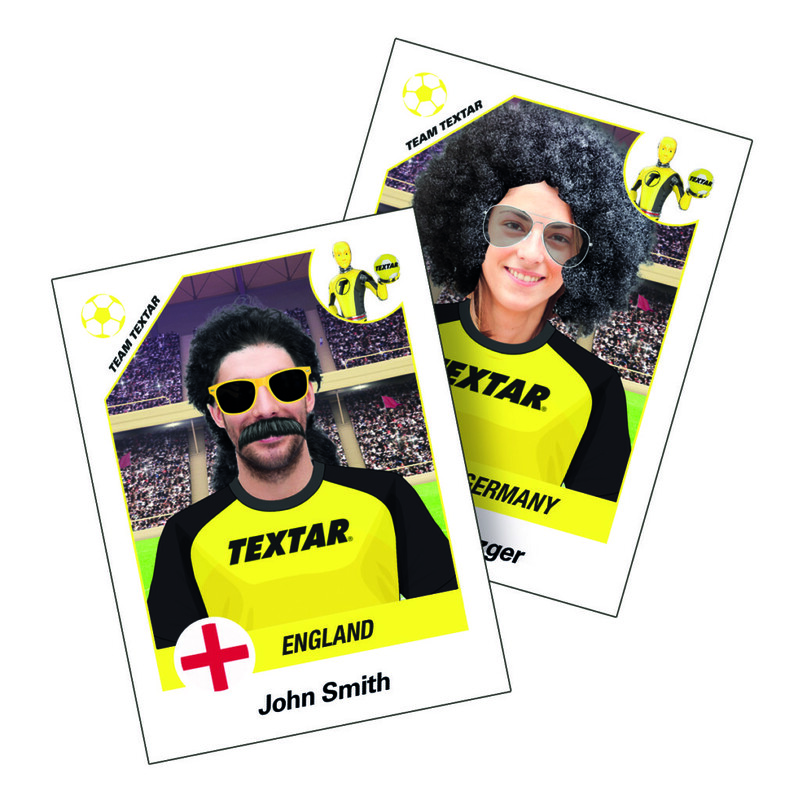 At the Team Textar website (www.teamtextar.com), participants can create their own player card in just a few clicks. All they need to do is upload an image of themselves or snap one directly with the selfie function. The images are automatically provided with a Team Textar jersey. A selection of funny options such as wigs and sunglasses are also available to decorate the image. The participant then chooses both a country and their player name. After entering their contact information, they will automatically be entered in the competition with their player card. Over the course of the campaign 11 winners will be chosen through a lottery. 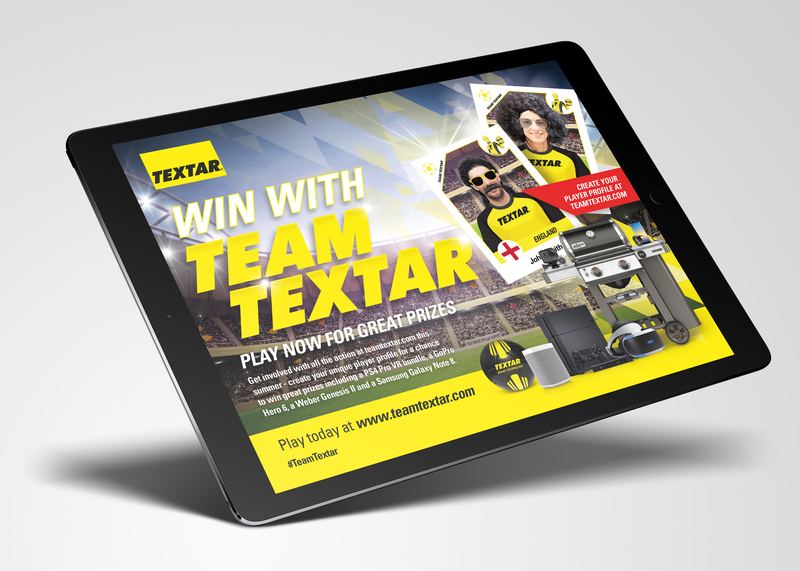 These winners will form the final line-up of “Team Textar” and each of them will receive one of the 11 main prizes such as a Playstation 4 Pro VR Bundle, an iPad Pro, a Weber Genesis II Grill or a GoPro Hero 6. Also, 111 small Textar footballs will be raffled off among all the participants. Those who share their player card with the hashtag #TeamTextar on one of their social media channels such as Facebook, Instagram or Twitter will also have the chance to win one of 11 BeatsX headphones. Caption 1: Starting 30/04/2018, you can officially participate in the Team Textar campaign via www.teamtextar.com. Caption 2: Before taking part, each participant has to create a player card that includes their country and player name.